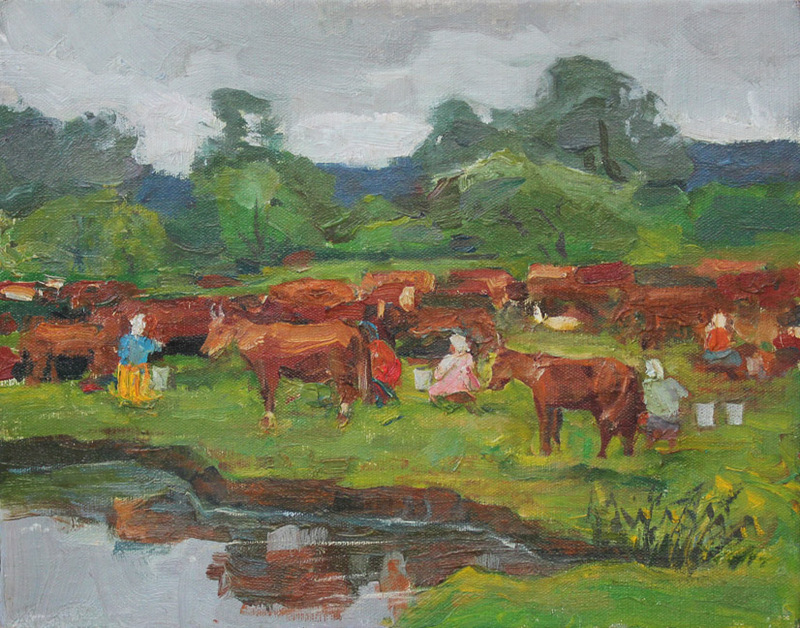 13 3/4" x 17 1/2" oil on canvas/b signed on rev. 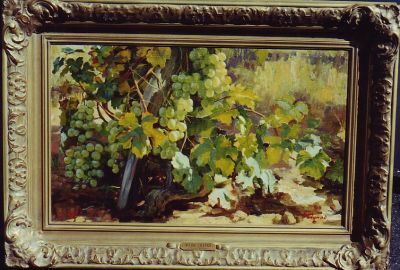 28 1/4" x 20" oil on canvas signed on rev. 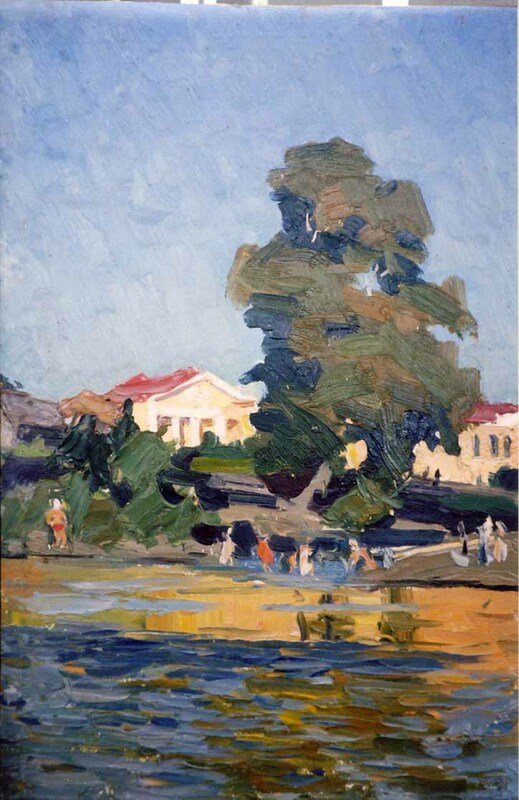 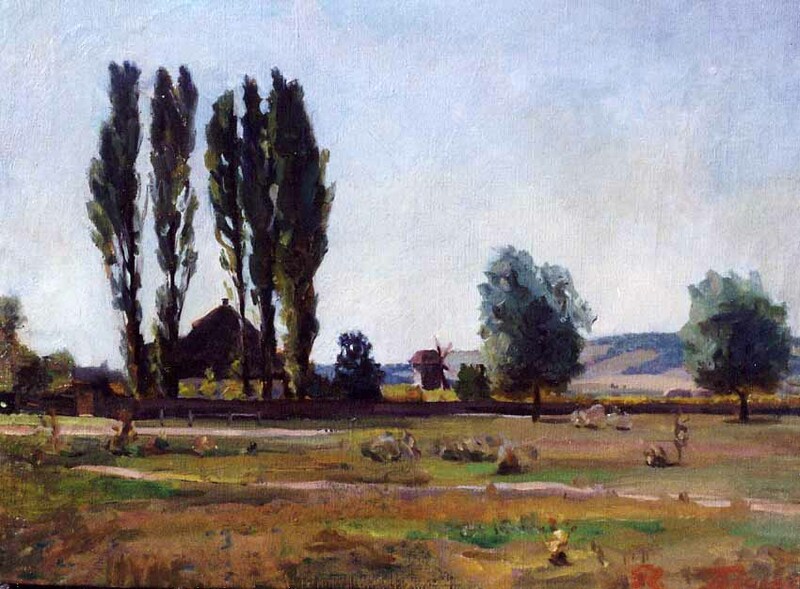 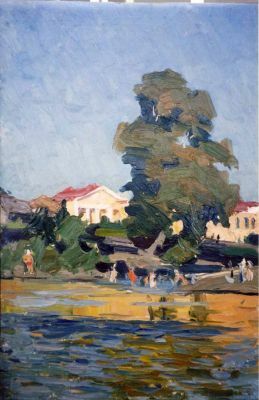 Godunov eventually returned to the Kiev Art Institute studying there from 1944-1950. 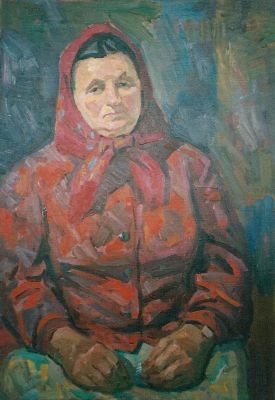 Having graduated with high honors, Godunov was offered a teaching position at the Institute where he was to remain until his retirement in 1994 at the age of 78. 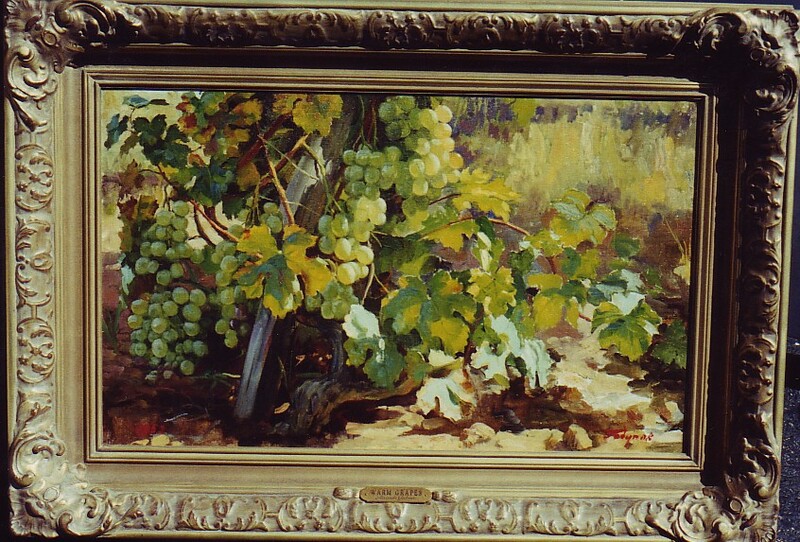 Throughout his long career, Godunov's body of works was balanced between "official" art and personal art. 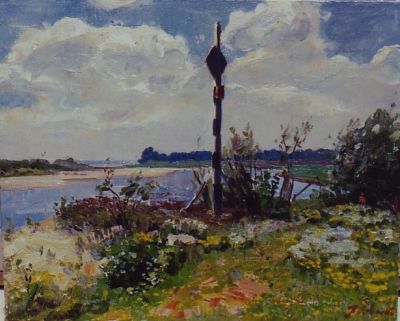 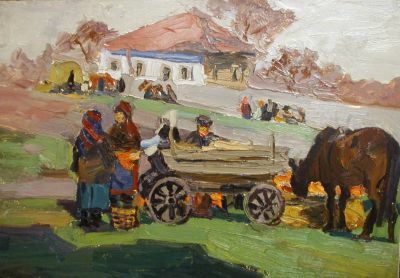 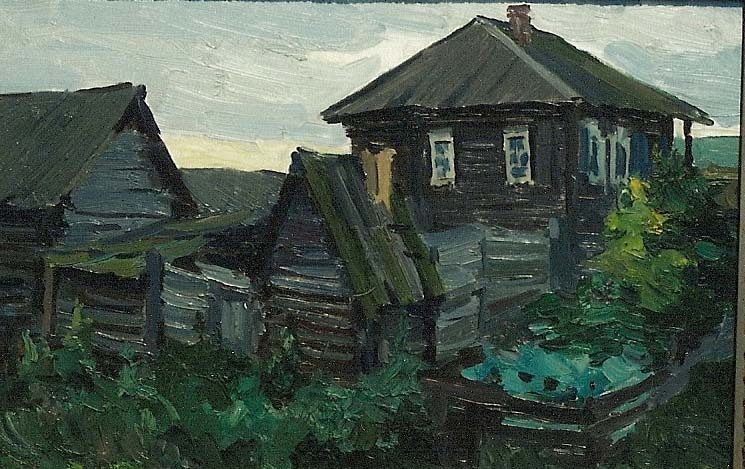 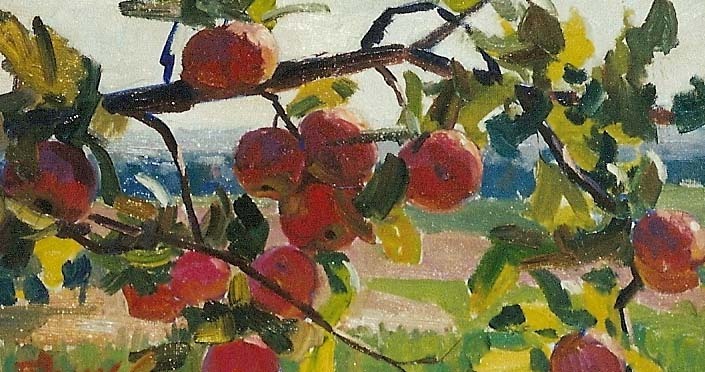 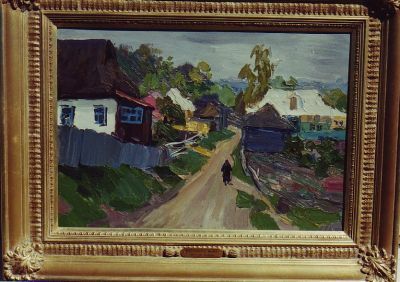 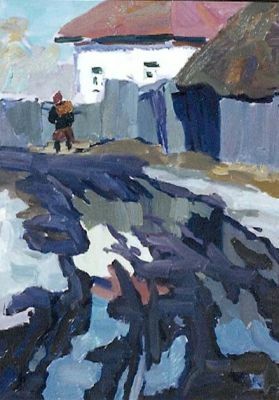 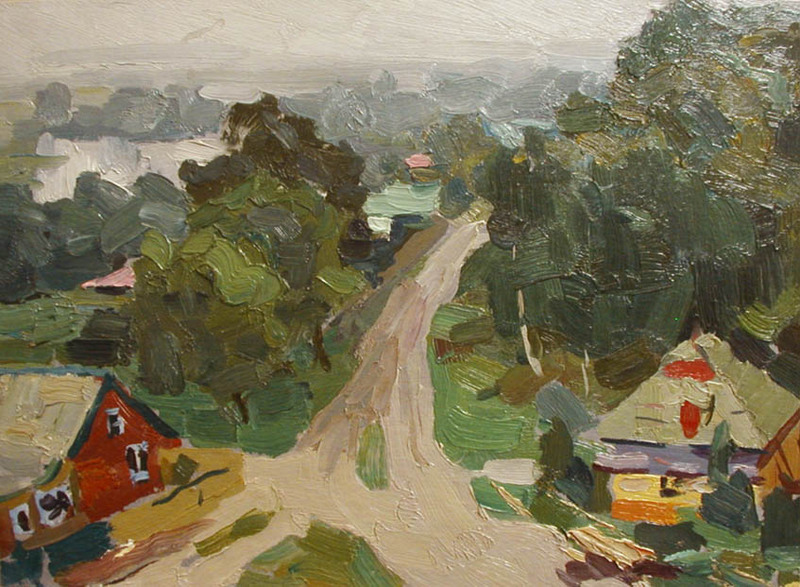 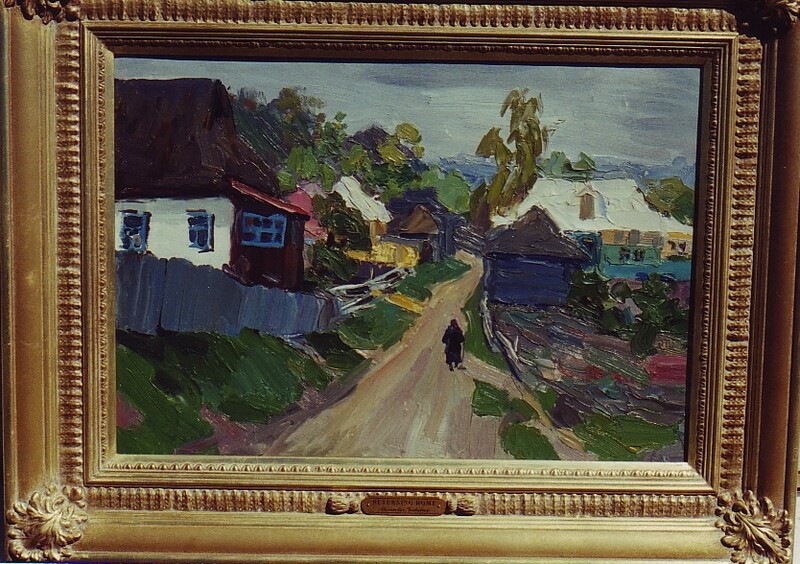 He received considerable attention for a series of paintings relating to the Russian Civil War ("Commander Budenie" (1964)) and for a series of works on the village of Shushenskoye—the village where Lenin was exiled for more than three years by the Tsar. 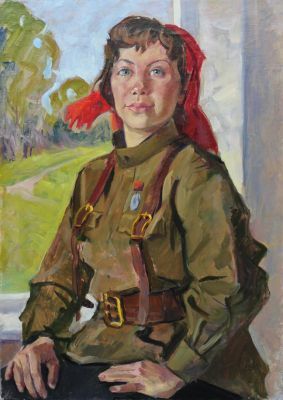 Paintings from each series are in museum collections in Russia and the Ukraine. Also, Godunov was well-known for his bold landscapes that were characterized by thick impasto, strong geometric compositions and a liberal use of color. Godunov began exhibiting in 1951, taking part in group exhibitions and one-man shows. 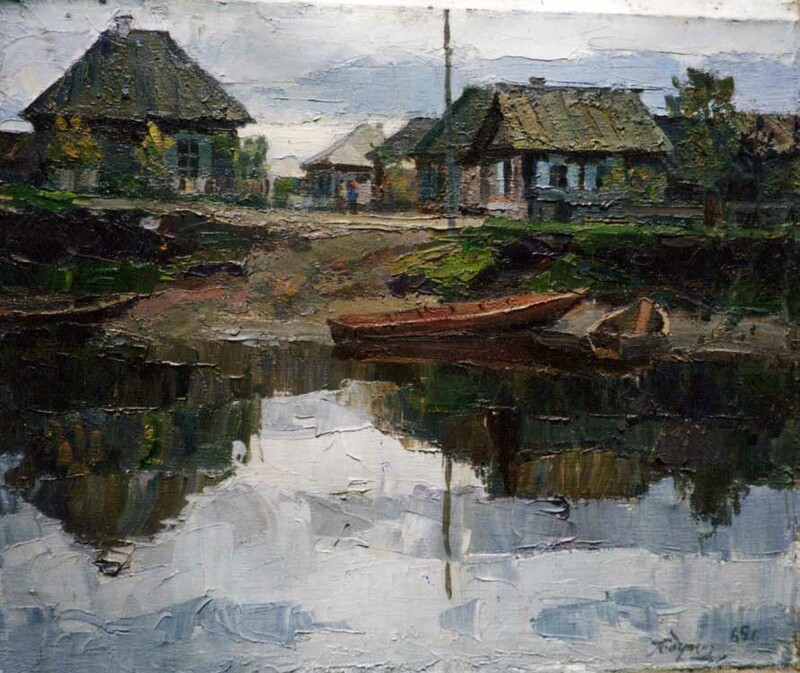 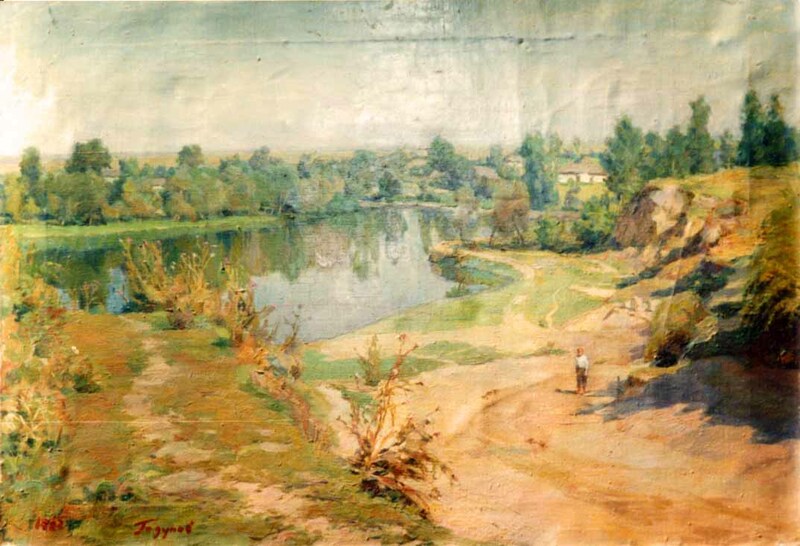 He was a member of the Ukrainian Artists' Union and was awarded the title of "Honored Artist of the Ukraine." 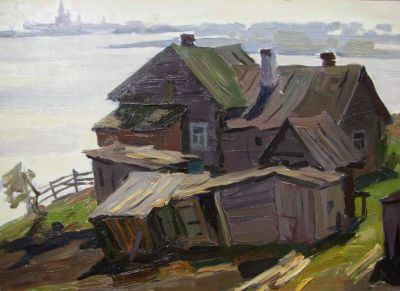 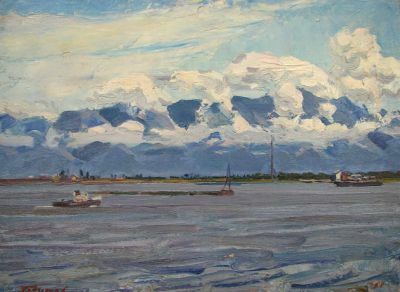 His paintings are in various museums in the former Soviet Union and in numerous private collections throughout the world. Godunov is listed on page 99 of Matthew Bown's A Dictionary of Twentieth Century Russian and Soviet Painters.